Stop playing it cool. You want her, go to her and say I want you. I’ll protect you. You don't owe your husband anything. Be happy. Come to me. Make me happy. I was here to tell the truth. What are you here to do? Permalink: I was here to tell the truth. What are you here to do? Alicia: Were you wanting me to cry, Mr. Canning? Oh my God, (fake sob) I thought my husband no longer cheated. Louis Canning: Wow. God, I love you. Permalink: God, I love you. Designer: I designed your offices, now I want to bring them into the 21st century. David Lee: This is the 21st century. Designer: No. You're deluding yourself. Pale wood, glass. This is an Apple store circa 2009. David Lee: That is the 21st century. Permalink: That is the 21st century. I've defended enough people to know how shallow those words are. I don't care what you believe. I care what you can prove. Peter: He hates me, he has for years. Diane: I know. This is not going to be a cake walk. Permalink: I know. This is not going to be a cake walk. 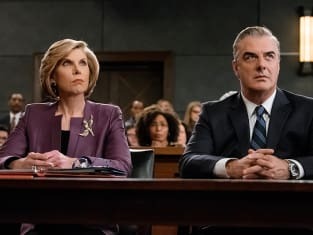 The Good Wife Round Table: Will Alicia Stay with Peter?